​... or in this case FIRST! Your kids will already know how to play this one, but instead of numbers, they have to listen to some navigation commands and recognize the shape the commands describe. The game cards are attached if you would like to try this yourself. Other games require a lot of expensive equipment or a low student to mentor ratio that makes it hard to scale. This game is great for any number of kids, especially if you have a large team or have a workshop where you want to keep kids in a holding pattern while they wait for a more exciting activity. You can use it to modulate the release of kids into smaller activities that require limited equipment or mentors. This game is great to give to a non-technical volunteer to proctor. It is not as intimidating as asking them to mentor a kid on robotics, and they will appreciate having a productive way to contribute to the meeting or workshop. The same game cards can be used with actual EV3 programming blocks. 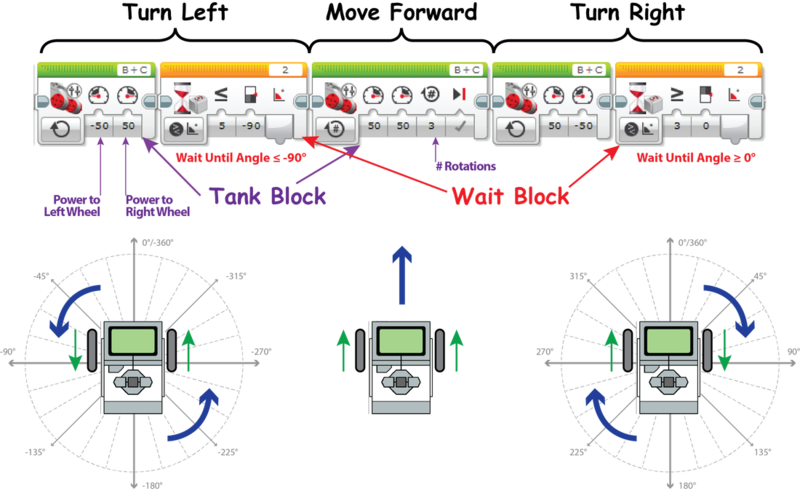 Your students can advance from Basic, to Advanced to EV3 programming instructions as they learn more about the programming vocabulary and EV3 language. They only need to know the basics of navigation below and you can use the 3-way instructions. Qualifiers are a great time to connect with other FLL teams. We met the Immortals at the Anderson qualifier, I almost felt guilty making them learn when they had a long day of competition.